I’m really excited to get back in the eight after taking time out to race in pairs for trials. It’s good to be back in a team again, in the mix with my rowing family. I can now stop seeing everyone as my competitor and we can start to work together again and move forward as a team. 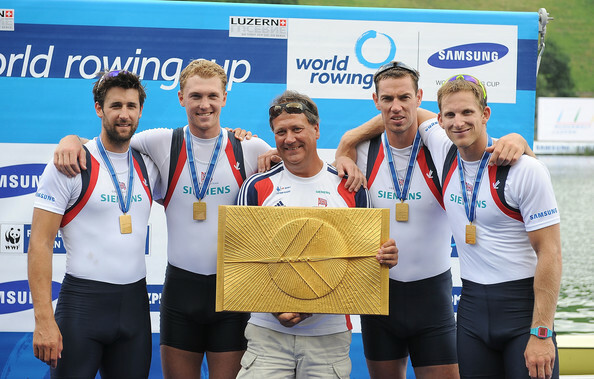 It’s exciting to be part of a big crew, and in rowing there’s nothing bigger than an eight. Teamwork is something that comes up so often in all walks of life. It means different things to everyone, but I’m not sure if it is always put to best use. I believe that if everyone knew the true benefits of teamwork, tasks could be achieved so much faster, more effectively and efficiently. Everything we do in rowing relies on working together as a team and so over the years my perception of what good teamwork is has developed. I’m sure there is no such thing as ‘the answer’, but I’m on a journey of discovery and enjoying the challenges and rewards when the answers are found. Rowing is unique in many ways, but one of the most interesting parts of what we experience day to day is our interaction with each other. Teamwork is a necessity; without it we wouldn’t even get to the start line of a race. It is present in every boat class, between every athlete and every coach. The whole British rowing team is defined by and relies upon teamwork in one form or another, but it is never more apparent than in an eight. It relies on eight athletes, one cox and a coach working together in mind and body, to ensure that everyone is moving in exact unison. Any tiny difference in timing, positioning or mindset can have a negative effect on the speed of the boat. Everything we do in our training and racing is directed towards maximum efficiency and boat speed, so reducing those discrepancies is of paramount importance. Rowing is often about deception. The best rowers make everything they do to onlookers seem easy and effortless, despite putting their body through excruciating agony. This can also cause difficulty for the coach, as often everything appears to be going well from the outside. It may look as though the boat is flowing, the crew look to be rowing in time, in harmony, and moving in the correct positions with no obvious problems. 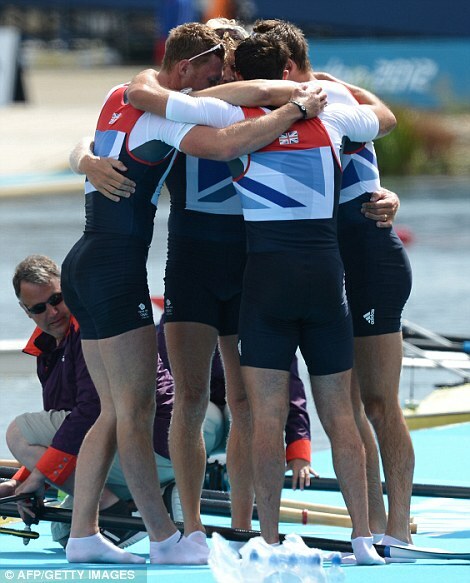 But so often, all it comes down to is a feeling in the boat that only we rowers are aware of. The boat may feel heavy, sluggish and mistimed, and as a result we don’t hit the expected times. This is where our teamwork is tested. We must use our senses to feel and hear where a discrepancy is being made. We communicate through movements, all eight of us experimenting on command of the cox. This is difficult; it takes skill to subtly feel and make a change together as a unit of eight individuals. When the right change is made we will feel the hull puck up, the bow will surge forward, the coach will notice the surge of the boat and he will see the difference on his stopwatch. It’s so good to hear one of the guys calling out “yes” or “good” when they feel that change, especially when you feel it too. It brings confidence, excitement and enhances the positive feedback from overcoming a problem. It’s so incredibly satisfying to work through problems together while out on the water in relative silence, in a crew where unity and movement is the answer. That is teamwork. Communication is key, physical communication transferred to one another by our movements in the boat. But of course, verbal communication is equally so. Before every session we will discuss what we plan to achieve, how we are going to do it and how we are all feeling about it. After the session, once the boat is back on the rack, we discuss whether we achieved our goal for that session, what worked, what didn’t and how we can change things the next time. Everything is open, everyone has their say, and everyone is listened to. There can be disagreement as much as agreement. Not everyone has to feel the same way about everything; we are after all ten individuals (coach and cox included), all with different perceptions of feeling, motivation and beliefs. However, one thing links us all above everything else – we all want to win. It doesn’t matter how we get there as long as we eventually meet in the same place, on that finish line, in the lead. After a great start to the season in Sydney, the team has felt incredibly strong, which bodes very well for the coming months leading up to the World Championships. With a couple of changes in the crew after trials, the project continues with enthusiasm and vigour and, I must say, the eight is a good place to be.